The passion of a first responder, whether it’s in Fire, EMS, EMA or Law Enforcement runs deep and across generations. Explorer programs, which provide young people with the chance to gain experience and insight in a career in the emergency services, offer a glimpse into the future of first responders nationwide. In most states, Firefighters and EMTs must be a minimum of 18 to get certified, and for Law Enforcement the minimum age is typically 21. Interested students as young as 12 (Civil Air Patrol) and as old as 20 can find an explorer post available in their area to get a head-start on what to expect if they choose to embark on a career as a first responder. Explorers have the chance to learn from experienced personnel, practice skills they will be using in the field, and, in some programs, compete in nationwide challenges and gain real-life experience on ride-alongs. Many explorer programs have a selection process that includes an application, a student interview, and require a commitment to attend meetings and trainings. The Kalamazoo, Michigan website explorer page lays out the goals for its post, "The mission of the Explorer Program is to build self-confidence in our Explorers, while laying a foundation of ethics, respect, honesty, integrity, and self-confidence.” Similar dedication is required in many of the chapters nationwide. Many programs have internal training programs, where students progress through a series of classes and hands-on training to gain skills. 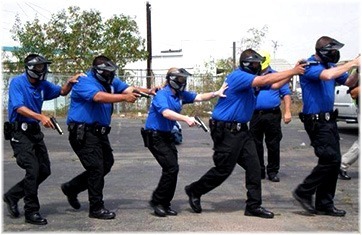 In some places there are Explorer Academies during the summer where students attend more formalized intensive training. The benefits to students who choose an explorer post include both training and the opportunity to see first-hand the realities of choosing a public safety career. One explorer highlighted this by stressing that, "Without explorers, new emergency service members would not have any experience and wouldn't know what to expect when they go jumping in to this field.” Another benefit is that explorers can get a “foot in the door” and network within their communities to find jobs after they have reached the minimum age and have finished the required training for their desired field. Many explorer posts have goals to find their future workforce from among the ranks of their members. Check out your local Explorer program to connect on Facebook as well!